March | 2013 | Art of Living, Sri Sri Ravi Shankar and My Self! It has been a long time and have some good news! It is only 2 more days to go for the launch of the campaign!! And most importantly – Sri Sri Ravi Shankar, my guru, will be coming HOME! It has been 5 years, a long long time, since he last visited the bay area. There is excitement in the air, tears in people’s longings, joy in their words and what not. To add on to this, MC Yogi, the famous American hip-Hop musician and yogi is going to be performing LIVE for the campaign launch. His rap on Obama and Mahatma GANDHI went viral to become chart toppers. Here is his website – http://mcyogi.com/ and here is his famous “BE the Change” Gandhi Rap. 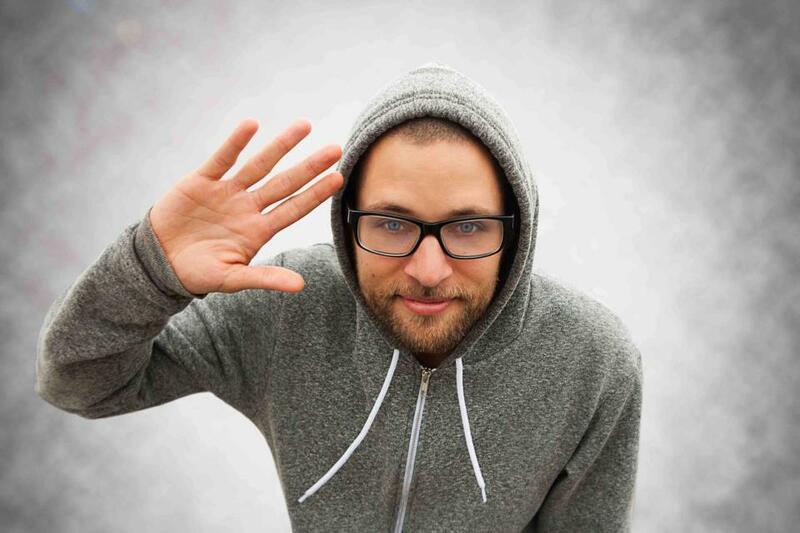 Welcome To The Campaign – MC YOGI!!!! I have been hitting on this topic for the last few weeks since I believe this the ultimate need for the hour for everyone. Why is the first step is to stress less? To completely eradicate stress in one’s life is a huge challenge- but not impossible. 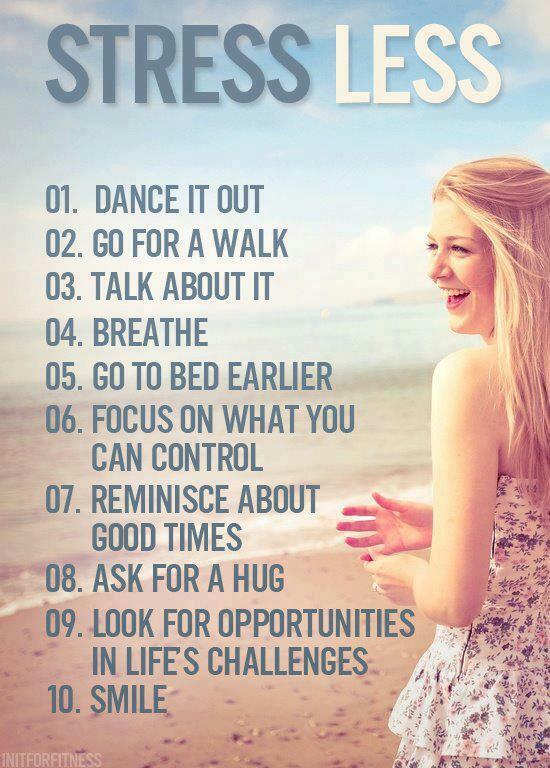 So the first baby step towards that would be to stress less :). Simple as that. Here are some ways on how to do that. I especially like the last two points in there. Can you look for opportunities in Life’s challenges and can you smile at the challenges? It is not easy if you have a confused and sad mind behind. This is where meditation helps. It calms you down. Helps you think clearly. A unmatched clarity dawns in you. For some, they get their answer to all their problems in meditation. That is why we have to meditate regularly. The Stress Free Violence Free community campaign by the Art of Living provides just this. A platform for all of us to come together to build a society where there is less stress by meditating and spreading goodness around. That is why we need it more at this time. No matter where you reside, just sign up for the campaign and start spreading goodness around and you will see nature return it back to you :)). If you are in the Bay area, come and attend the launch event by Sri Sri Ravi Shankar and listen to prominent members fo our society say about stress and violence. Also help us spread the word around! Tweet with the handle #peacestarts of what act of kindness you did today or how you spread goodness around. Come and watch the videos on our Facebook page https://www.facebook.com/Stressfreeviolencefree. Remember one small step for man, huge leap for mankind! Michael Fischman began his life as the son of an Orthodox Jewish Holocaust survivor in New York, and developed a successful career as a Madison Avenue advertising executive. Later through an unlikely turn of events, ended up as meditation student and teacher. He is also the author of a multi-award-winning memoir, “Stumbling Into Infinity: An Ordinary Man in the Sphere of Enlightenment”. Here is an excerpt from his interview about the joys of meditation and why we need to meditate. Michael has been with Sri Sri Ravi Shankar and Art of Living Foundation since 1988 and has been teaching meditation and other courses since then. Tell us about your personal meditation journey? I started to meditate when I was 26 years old. It was a rough patch in my life, and many of the social activities I was involved with at that time I have completely abandoned. I was living a very different lifestyle. A friend told me about meditation and it seemed to make sense. I gravitated to it very quickly. In 1988, after practicing for about a dozen years, I came to Sri Sri Ravi Shankar and the Art of Living. It was a quantum leap forward in my practice. As opposed to spending a lot of time with a chattering mind in the first half of my meditation, the meditations were profoundly different. I would start my meditation in silence, and that was extremely valuable. You are a long-time teacher of meditation. Tells us about meditation in the Art of Living? Meditation is a key part of the Art of Living, and Sri Sri’s approach to meditation in the Art of Living is very unique. He takes a three-pronged approach. The first step is to help an individual quiet down their mind and their emotions with Sudarshan Kriya. This is the meditative rhythmic breathing practice that is taught on the Art of Living Part 1 course. The second step is giving people instruction in the art of meditation through a course called Sahaj Samadhi Meditation. An individual is given a sound or mantra and taught how to use it, this gives them a deep experience on the basis of regular meditation. It cultures their system to maintain an inner peace and bliss that continues to grow inside. The third approach is to give people a deep experience of silent awareness in a retreat program called the Art of Silence course. It allows people to spend four or five days in a retreat setting, away from responsibilities. The effect is like polishing the system, expanding awareness, and going very deeply into the experience of meditation and the experience of silence. How has your life changed since you learned meditation? It is hard to say why my life has changed, whether it is due to meditation, to Sudarshan Kriya, the deep silence program, or due to interacting with Sri Sri Ravi Shankar as a guru and teacher. Or maybe all of it. I can say that the deep experience of peace and serenity that I get to experience twice a day definitely sets the tone & mood of my mind for the entire day. And that effect has grown through the years. Sudarshan Kriya helped me feel the effect of meditation more during the day. Do you think it is important to have teacher to learn meditation? Yes, very much so. I don’t think you can learn it from book or from a seminar. People are blind to their own blind spots. You definitely need a teacher or a guru. The path of getting to the Self is a very interesting journey, and meditation is a key aspect of it. But unless you have the guidance & supervision of a Master, it would be difficult. Be Stress Free by going INWARDS! Here is a cartoon by my friend, Parag Agarwal, about how going inwards for a few seconds can relieve us of so much stress that we accumulate daily! It is time for a new theme and new actions to be taken! I am excited! This week’s theme for all of us is Health and Well Being! With only three more weeks to go for the campaign to be launched, we have a lot of people interested in and signing up. The theme for Pre-Campaign week 3 is HEALTH and WELL BEING! Post an article on meditation or going vegetarian in your Facebook page to increase awareness – Here is one if you want to use 11 ways how meditation adds value to your life! Send your friend a healthy meal recipe as a surprise! If you have any other interesting act of kindness, post them here! Why we need the Stress-Free Violence-Free Community campaign? I got these stats from the stress free violence free campaign website and I must say – these stats are really shocking. 1 in 3 women will experience sexual abuse in their lifetime! 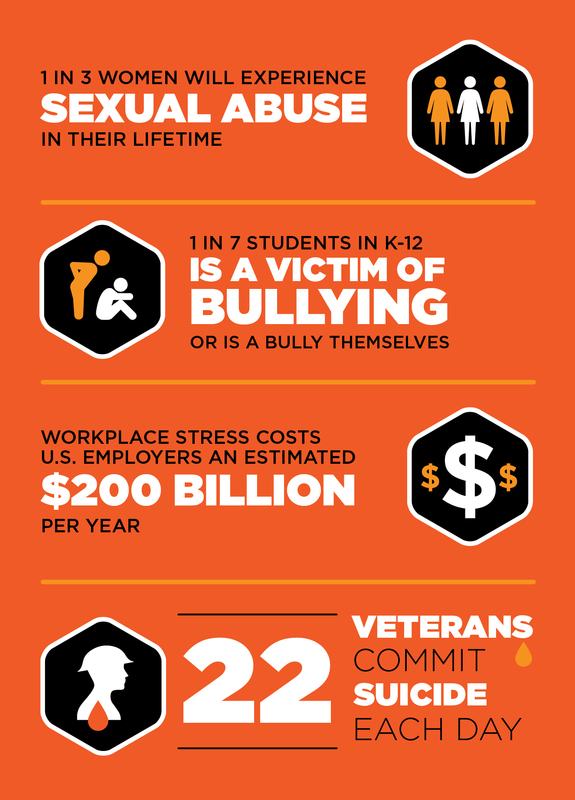 1 in 7 students in K-12 is a victim of bullying or a bully themselves! Workplace stress costs US employers an estimated 22 billion dollars per year! 22 veterans commit suicide each day! Each day! 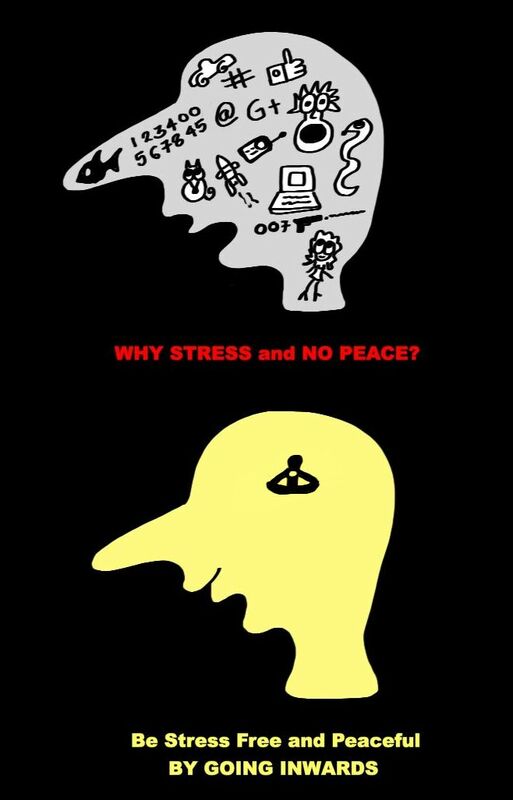 Here are some interesting facts on Stress. These are all the more reasons we need to come together to take steps to avoid all these. And that is exactly what Art of Living foundation is doing with the StressFreeViolenceFree community campaign! This campaign provides all of us a platform to join hands and work together to effectively resolve all these issues in the society. Join the campaign for FREE @ stressfreeviolencefree.org and attend the launch event inaugurated by Sri Sri Ravi Shankar himself on March 24th at the San jose convention center! Sharing some beautiful knowledge that I read this morning. Enjoy! What is it that comes to your mind when you hear the word ‘marriage’? Two people, whose hearts and minds are united, who care for each other and who share a sacred bond nourished by love, companionship and faith, isn’t it? However, have you seen sometimes that your marriage might not meet your or your spouse’s expectations? When such challenging situations constantly arise, you may require some skill to nurture your relationship. How to develop that skill? Meditation might help. These are some practical tips which, when kept in mind, can make this journey smoother and more comfortable for both your spouse and you. Tenali Raman, known for his wisdom and wit, sets an example for the secrets of a happy married life. One of the courtiers from the king’s durbar (court) was jealous of Tenali’s wisdom. One day, he approached Tenali’s wife. Courtier – Your husband’s brain is the size of a peanut! Tenali’s wife – So what, it’s the world’s largest peanut. This secret is for women. Never step on the ego of your man. Sri Sri Ravi Shankar – The whole world may say to him that he has no brains, but you, his wife, should never say that. You should always say, ‘You are the most intelligent person on the planet. Just the fact that you don’t use your brain does not mean you don’t have it!’ You should always pump his ego. Just praise and shower him with compliments sometimes. Even when he has made some mistake, tell him that he has the ability to do better. Just that little praise will make him feel better. The most important thing to a man is that at least his wife thinks that he is the best. Now, pampering his ego may require you to capture all the goodness in him and amplify it. And this skill develops with meditation. Tenali Raman gives 20 gold coins to his wife. Wife (happily) – Now I’ll do my monthly shopping! Seeing this, Tenali’s friend was taken by surprise. Friend – You gave so much money to your wife, how do you manage all your expenses? Tenali – Well, managing expenses is easier than managing emotions. Emotions are very powerful and you can easily get caught up in them. As a man, it is important to deal with the woman’s emotions skilfully. Sometimes, you may have to nurture them well. Meditation brings in you that skill to be sensitive and sensible at the same time while dealing with your wife’s emotions. It gives you the ability to bring that pleasantness in the atmosphere which is important for a healthy relationship. Tenali’s wife – Tenali, will you always love me? Tenali’s – Hmm, let me think about it. Tenali – I will love you for as long as the sun keeps shining during the day. Do you see this? Just like the existence of the sun during the day, certain things are very obvious and do not need any proof. Love is one of those things. We look for a proof for love from our partner all the time. Sri Sri Ravi Shankar- Never ask for proof of your partner’s love for you! Do not ask each other, ’Do you really love me?’ Even if you find something lacking, just say, ’Why do you love me so much?’ Take it for granted that they love you. Even if the spring has died out, it will start again. Meditation nurtures the qualities of contentment, giving and love in us, so naturally. One evening, impressed with Tenali’s wisdom, a saint gives Tenali two fruits of happiness. Tenali decides to keep one for himself and his wife and generously decides to give the other to a worthy couple. He calls three of his closest friends and their wives to tea. Tenali to the first couple – What do you want in life? Man – I just want to see my wife happy all the time. Wife – I just want to see my husband happy all the time. Tenali to the second couple – What is it that you want in life? Man – I want to build a nice, big house for the comfort of my wife. Wife – I want to travel the whole world with my husband! Tenali to the third couple – What is it that you want to do in life? Man – I want to create a more holistic education system in our society. Wife – I want to add to the vision of my husband. Tenali happily gives the fruit of happiness to the third couple. When the husband and wife are simply focused on each other all the time, they quickly enter into fights. After the initial phase of marriage, where everything is magical, faults start surfacing all too soon. Lines moving towards each other only move apart after the point of intersection. Again, when the husband and wife are not focused on each other and their goals in life are different, they stop seeing eye-to-eye with each other and communication and trust break down. Further, when the goals are only to satisfy personal desires, there is not much fulfillment or merit that is gained. It is only when both are moving together, with their focus on a higher goal for the society, for the world, that values are upheld in the relationship and beauty, love and faith are nourished. Parallel lines move together until infinity. We need to have both personal goals and goals for the society. Only then would we have a sense of fulfillment and higher purpose. This paradigm shift in our thinking, from “What about me?” to “What can I do for others?” happens naturally when we meditate. The skill, courage and commitment to move together, come what may, is nourished and strengthened by meditation. The deeper the foundation, the taller the building will be. Meditation brings this depth to our relationship so that our life and aspirations can reach out to the sky! I was reading a knowledge sheet where Sri Sri Ravi Shankar was explaining about the violence in Afghanistan. He says that it is because of the incomplete understanding of the history and culture of Afghanistan. Afghanistan was once the center of Vedic culture since it was at a strategic location between the Middle and Far east. Something that caught my attention was the origin or meaning of the word Afghanistan. It seems it has a Sanskrit roots – “ahi”, “gana”, and “sthan”, meaning the country of awakened people. A number of Hindu teachers and Buddhists monks of great reputation lived in Afghanistan and founded famous universities and schools of yoga and meditation there. This got me researching on how many countries have Sanskrit roots and what they really meant. Here is what I found. India – This is a European term derived from Greek ‘Indos’/’Indhu’ (which means the region beyond the Indus river) which in turn is taken from Persian ‘Hindu’ which is in turn taken from Sanskrit ‘Sindhu’. Other Sanskrit names for India are Bharat (Empire ruled by Bharata dynasty)/ Aryavarta (Land of Aryans). China – This is a European term popularised by Marco polo 13th century. It is derived from Sanskrit ‘Cina’ referring to the Qin dynasty of China. The Chinese dont have a specific name for their country.It often changed with change in dynasty which ruled them.But they vaguely call it as Zhonguo (Middle Kingdom). Indonesia – This is a European term derived from two Greek words ‘Indos’ taken from Sanskrit ‘Sindhu’ (referring to India) and ‘nesos’ (Island). Indonesia historically had a lot of Indian influence on them, hence the Europeans simply called it as ‘Indonesia’ (Indian Islands). Malaysia – It is derived from the Sanskrit word ‘Malay’/’Malayakolam’/Malayadwipa (Islands of Mountains). The Indians used to descibe the entire South East Asia as ‘Malay’. Iran – From Old Persian ‘Ariya’ which in turn is derived from Sanskrit ‘Arya’ as in ‘Aryavarta’ (Sanskrit name for India). Singapore – Derived from the Sanskrit term ‘Singhapura’ (Lion City). Sri Lanka – Sanskrit for venerable Island. Bangladesh – Sanskrit for Land of Bengalis. Cambodia – derived from Khmer word “Kampuchea” which is in turn derived from the Sanskrit word ‘Kambujadesa’ (Land of Kambuja). Thailand – European word derived from the Thai term ‘Ratcha Thai’ which is in turn derived from Sanskrit term ‘Raja Thai’ (Kingdom of Thai). Thailand’s other name is Siam derived from Sanskrit term ‘Suvarnabhoomi’. (Land of Gold). Bhutan – Sanskrit for Highlands. Brunei – Derived from Sanskrit word ‘Varunai’ (Seafarers). The word Borneo is also came from same origin. Maldives – Derived from Sanskrit ‘Maladwipa’ ( Garland of Islands). Interesting right? If you know any other names, post them in the comment section.